A quiet showdown of 65 teams kicked off a fast-paced Day 1 at Grand Prix Detroit. Here what you missed off-camera under the Sunday lights. The the three-way race still tight coming into Detroit, it was any player's run to make as top-ranked Seth Manfield, 2nd-ranked Reid Duke and 2nd-ranked Luis Salvatto each could take the turn they needed to pull ahead. For Manfield, his team’s day ended on Day 1 after a rocky start and disappointing record to round out the day. With the World Championship around the corner, any plans to battle one more time at Grand Prix Stockholm would be made at the last minute—and eat into the precious prep time his team carved out. For Duke, his team struggled early in Day 2 picking up another loss and draw. Entering Round 12 at 7-2-2 was going to be a moonshot for Top 4, and battling the back half of the day for prizes was the only consolation. Whether he’d make a run at Stockholm next weekend was still a question to be answered. For Salvatto, his team too hit the skids during Day 2. While their stayed in Top 4 contention the longest of the teams with a potential Player of the Year, in the end his team too fell short of the finish he was looking for. His last chance to secure the title would be the following weekend in Stockholm where he has already made arrangements to battle. 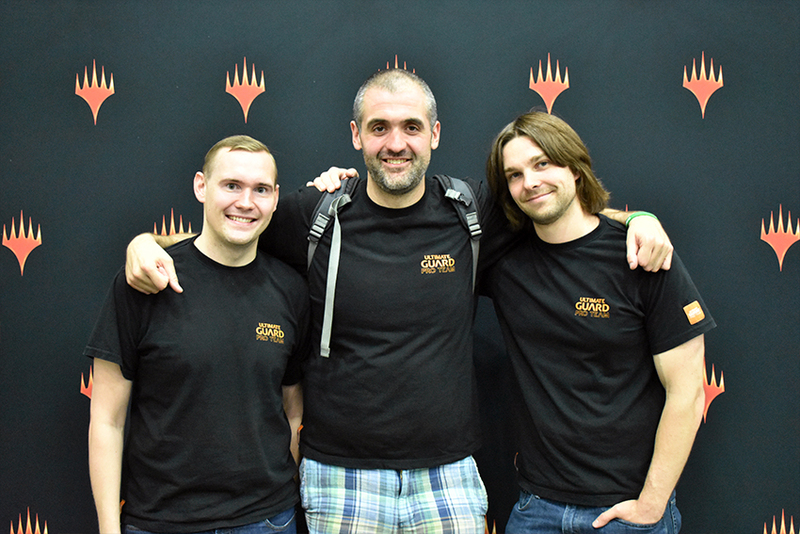 Dead in #GPDetroit, seems like there is only one more shot (this season ) for PoY! Next stop: Stockholm! I will stay until Thursday here in Detroit, looking for something to do besides testing, so I accept invitations to hang out and have fun. 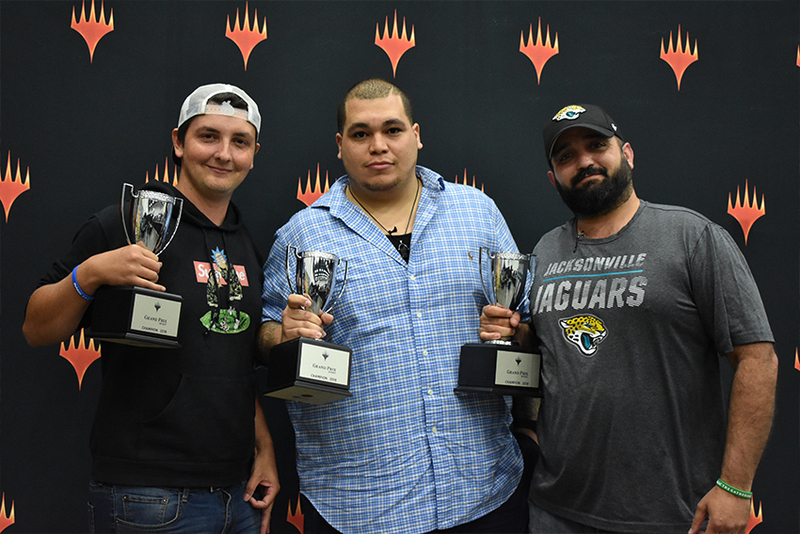 While every team that made Top 4 had their own story of teaming together, the journey for William Courson, Antonio Perez and Andrew Lopez is a script made ready for a movie. ”I actually told my manager the wrong dates." Courson said. “I almost couldn’t go. I told [Perez] ‘Look man. Even if he can’t switch the days I’ll tell my boss I’m going.' I had to wait 24 hours for the answer and my boss gave me the go-ahead." It was an adventure to get all the way to end, beginning on Saturday. “Day 1, [Courson] had three hours of sleep!" Perez said. We go 3-0 and then we get to round 4 and round 5 and we lose two in a row." Perez said. “I pulled the team together I told the boys ‘We’re not going down no more.' and we won out. At the time it was a joke, but when we started winning and winning it was a real thing." Perez pointed to Lopez. “This guy came in today he didn’t lose a single game in our first five matches!" “I didn’t lose a match today." Lopez said. “And when the time was needed, Tron came through." Perez said with a grin. “I play Tron in everything. I’m playing Tron and it had 0 crossover with you guys." “Four Walking Ballista." Lopez explained. “It’s good versus everything. Humans—everything. You always want to see that card. “Every single match we drew it it was exactly what we needed." Courson said. It was a critical piece of his victory against Matt Nass in their finals battle. “Against Nass, he had stabilized and was going to win on the next turn." Perez said. “Ancient Stirrings for the third Ballista and it won me the game." But not everyone had the same level of preparation and planning. “I had never played Humans before." Courson admitted. “I got no testing in. The first hand I drew up with the deck was Round 1. I had played with all the cards before when they were Standard legal. Modern’s the format I know the best so Meddling Mages were easy for me." “Humans is the best deck. I was just going to play it." Like Perez, Lopez played the deck he knew best in the format. “I’ve been playing Jeskai for a year." he said. “In Modern, you play what you know. This is what I love to do: Lightning Bolt-Snapcaster Mage-Lightning Bolt people. I had so many friends tell me to play White-Blue. People think they know what they’re talking about. I but I know how to play it." “That’s our story and how we got here. And now we’re on the Pro Tour." 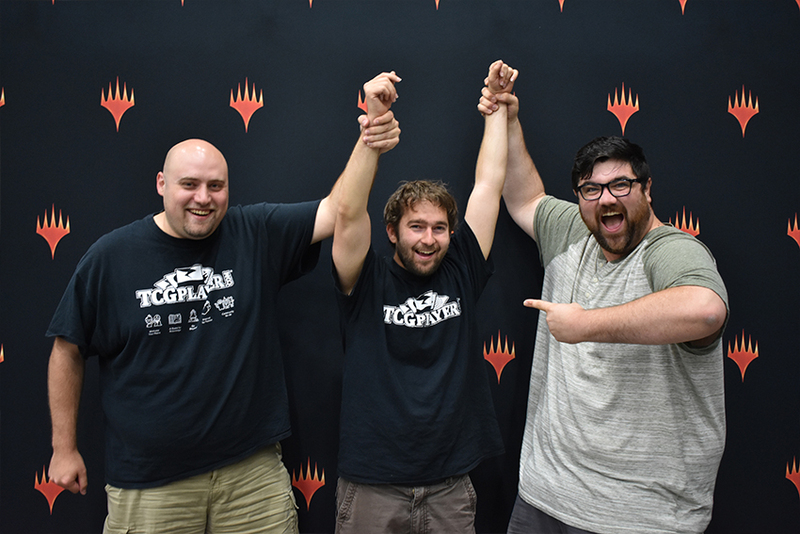 Perez was beside himself with glee, wearing a grin he didn’t take off after shaking hands with the indomitable Paulo Vitor Damo da Rosa, Matt Nass and Sam Pardee they defeated in the finals. Courson too. “I came in second in like 14 PPTQs in four month. I stopped playing them because I just couldn’t win. Now I’m Bronze and going to the Pro Tour. It’s very surreal." 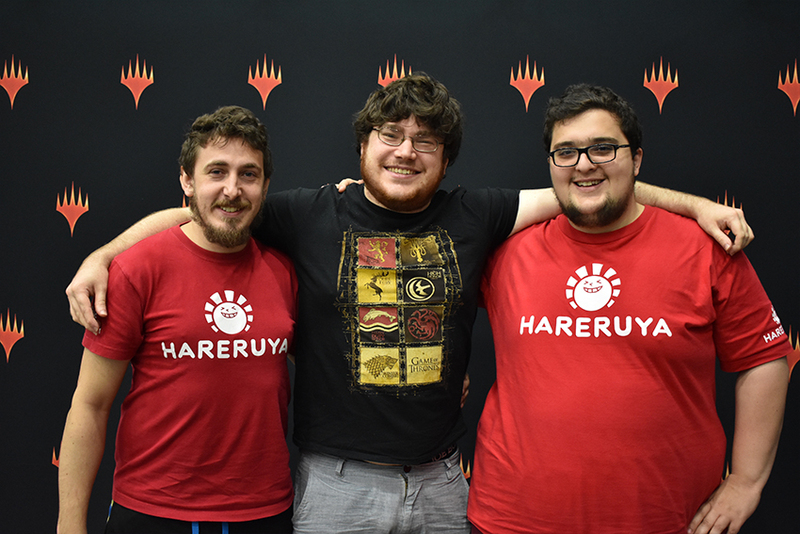 Courson, Perez and Lopez rallied from two losses and earned the dream of players around the world: Become Grand Prix champions. Congratulations again to the newest winning team from downtown Detroit!